Texting can be a powerful tool, and many students use it for homework help, etc. However, proper texting needs to be taught and supervised as the middle schooler learns to use it appropriately. Middle Schoolers can forget that when they use messaging on a device the expectations for how they speak with each other remain the same, as if they were speaking face to face. Students often don’t understand that when they text something there is a permanent record. Making the text, in many ways, worse than saying something out loud. Remind your child that texting is not a private conversation, but a written record that can be accessed at any point in the future. Let him know you will check his messages periodically, and that you expect that he would not write anything in a message that he wouldn’t say to the other person in public. You can use the iPad to assist you in helping your child use the device appropriately. Guided access allows you to lock an iPad onto a specific program. 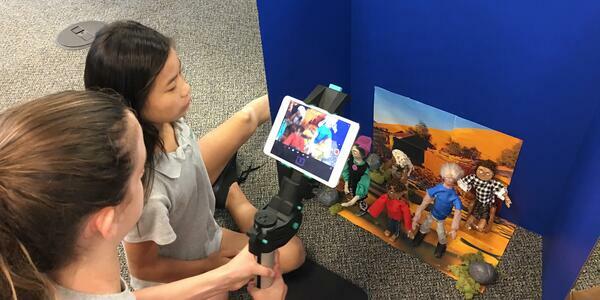 If your student needs to get something done using an app, but you are concerned that he is often off task on the iPad, it may be time to become a Guided Access expert. Information on how to use this helpful feature can be found directly from Apple: https://support.apple.com/en-us/HT202612 . 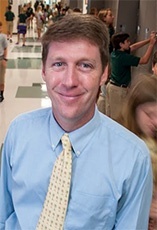 Jonathan Davis is the Head of Middle School at Shorecrest. Visit the Shorecrest campus to learn more about the 5th-8th grade Middle School program.